Interesting retail things always seem to happen on Tyneside while I’m on holiday! 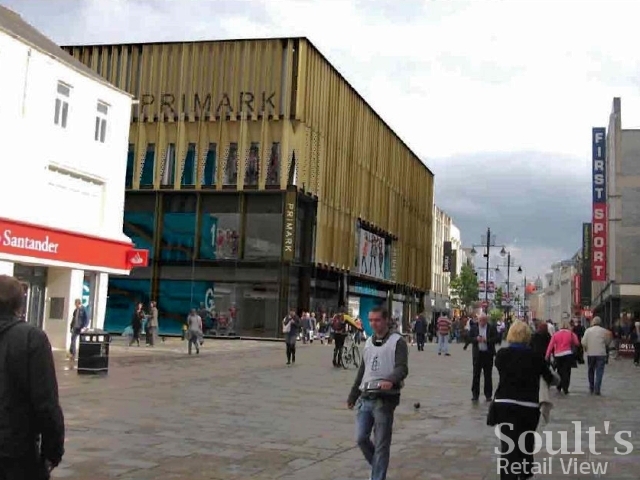 This time, I returned from Slovenia yesterday – hence the lack of recent blog posts – to find that the planning application for Newcastle’s new Primark flagship has been submitted while I’ve been away. 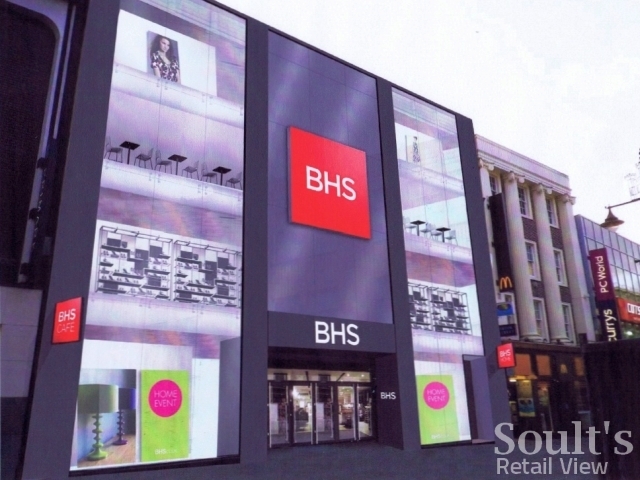 While the news of Primark’s expansion has been known since the adjacent BHS store began closing down in January, the planning application is significant in revealing for the first time the shape, size and appearance of the proposed store. A more detailed trawl through the application’s 52 accompanying documents will have to wait until I’ve caught up with my post-holiday tasks, but we now know that the store will be huge – with 10,650 sqm (114,636 sq ft) of retail floorspace – and that it will involve a radical remodelling, above, of the property’s frontages to both Northumberland Road and Northumberland Street. The Evening Chronicle’s coverage of the story suggests that 200 new part-time jobs will be created as a result of the expansion. Judging by the comments at SkyscraperCity, reaction to 3DReid’s radical redesign seems mixed, with some forum members – not entirely unjustly – likening the new look to that of an east European department store. To be fair, the slightly grainy quality of the renders makes it difficult to draw firm conclusions, but there’s little doubt in my mind that almost anything would be an improvement on what’s currently there. The introduction of much more glazing and what looks like an elaborate lighting scheme are particularly welcome in enlivening what has, to date, always been a blank and unforgiving façade. With Primark’s proposals coming hot on the heels of BHS’s plans for an equally radical reworking of the adjacent former Next store, above, 2011 is certainly shaping up to be a significant year for Newcastle city centre retail. 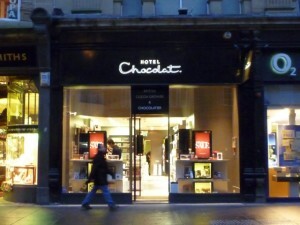 Readers, journalists and visitors to Newcastle often ask me to summarise what’s currently happening in the city centre, so here, by way of reminder, are the key developments that any Newcastle retail watcher should include within their itinerary. At the top end of Northumberland Street, opposite M&S, preparatory work is underway on Newcastle’s new Primark, expanding the chain’s existing store (in a former C&A unit) into the vacated BHS site. Next door, the former Next is being transformed into a four-storey, new-concept BHS. 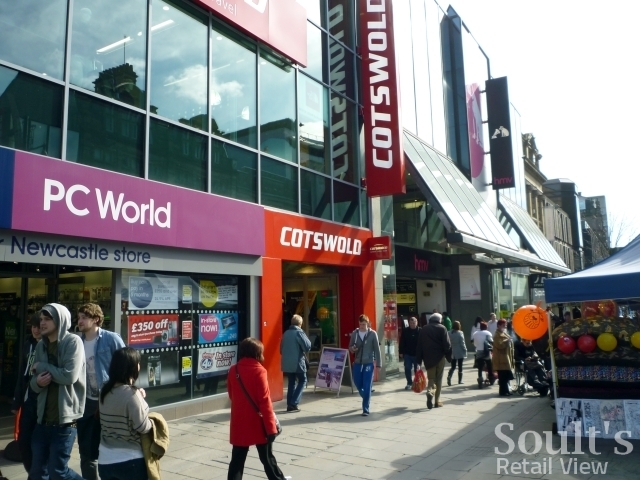 Plans for a bold new frontage are still yet to be approved, but Arcadia Group says that the store is expected to open by the end of the year. Further down the street, Clas Ohlson’s twelfth UK store is set to open next month, covering 20,333 sq ft of retail space on the site of the former Collectables store. Elsewhere in the street, the new Peacocks, Cotswold Outdoor and Currys/PC World stores – all opened during 2010 – are among those chains’ most impressive high-street shops, and are all worth a visit. Big upcoming arrivals are the three-storey Urban Outfitters on the former Green Market site, and a new Calvin Klein Underwear shop in the former Kurt Geiger next door. Meanwhile, the fabulous Hotel Chocolat in Blackett Street, H&M in Grey Street and Jaeger London in Grainger Street are among the recent arrivals that have helped to improve the retail offer in the southern part of the city centre. 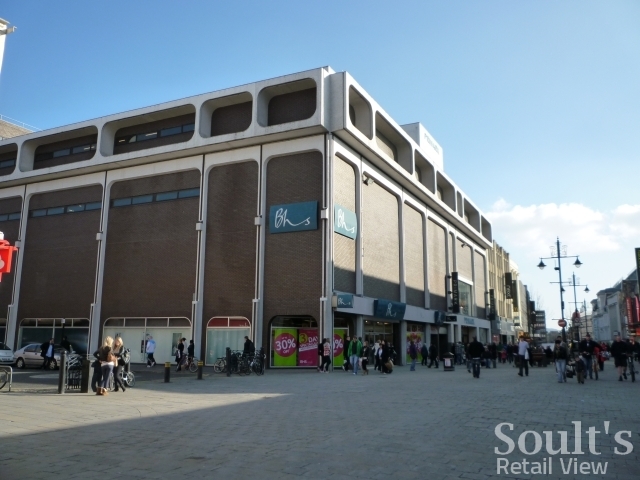 As far as specialist retail is concerned, the Market Street area seems to have established itself as Newcastle’s ‘outdoor retail’ focus, with the long-established Tiso recently joined by Blacks and the well-regarded independent Start Cycles. Over the road, investments in the Grainger Market also seem to be paying off as a wealth of creative independents – such as the delightful foodie store Mmm… – build on the Market’s fresh-food heritage to create a truly modern and inspiring retail experience. 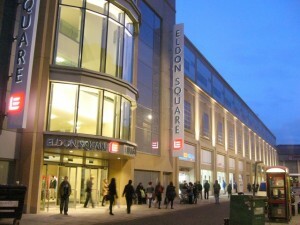 The Debenhams-anchored St Andrew’s Way is universally impressive, with almost all the retailers there having created modern and innovative frontages, store environments or both. All Saints’ double-height window of sewing machines always catches the eye, while Hollister has given Newcastle an instore experience that is completely on-brand, appeals to all the senses (sight, smell, touch…), and is unlike anything else currently in the city. Among the units freed up by those retailers now in St Andrew’s Way, the recently opened Next has transformed the old Arcadia space into a store that is unrecognisable – inside and out – from what it used to be. 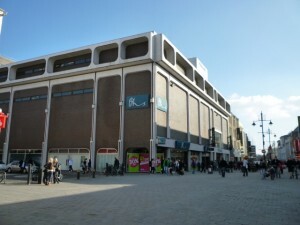 Elsewhere, Kurt Geiger, Foot Locker and Barratts have all created new, eyecatching stores within the older parts of the shopping centre, replacing their older and smaller shops elsewhere. That’s my snapshot of some of the current and recent interesting happenings in Newcastle city centre, but do feel free, as always, to add your own highlights using the comments form below! I must admit, walking up Northumberland Street from Monument on Saturday, I notice H&M & Burger King has some new signage. Looks much better than the bland white and red used on both stores and outlets respectively. No idea how long the new signage has been up though! I hadn’t expressly noticed the H&M refresh, but I think the Burger King outlet has had a full revamp inside as well. A vast improvement on the current look of that building! 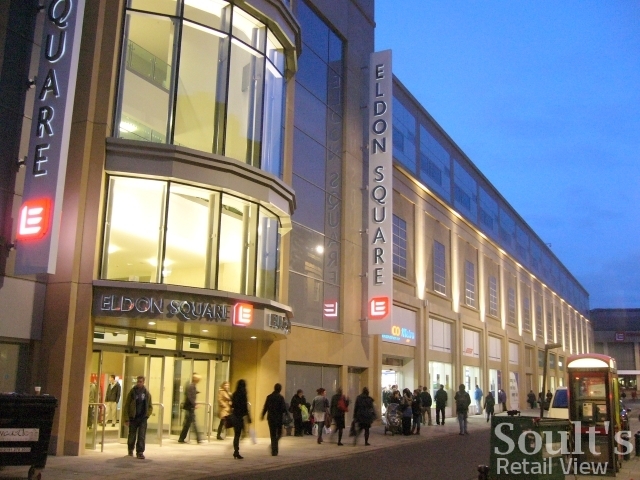 Soult's Retail View » What does 2012 hold for Newcastle city centre?